It's one thing to write Eighth Note Harmonic Intervals (one note directly above the other) but it's a little different writing Eighth Note Harmonic Intervals when it's a harmonic 2nd. There are 3 rules to learn that will help us avoid 4 common mistakes when writing Eighth Note Harmonic Intervals. Rules change when writing harmonic 2nds using eighth notes. Do your students ever get confused when writing Eighth Note Harmonic Intervals of a 2nd? You have to consider the flag and the stems and the noteheads. Sounds like a song out of The Wizard of Oz – Flags and Stems and Noteheads, Oh My! Writing Eighth Note Harmonic Intervals of a 2nd involves not only proper placement of the noteheads, it also involves proper placement of the flag and the stem. In Prep 1 Rudiments on Page 41, we learn: An Eighth Note is written as a Quarter Note with a Flag. Follow the Stem Rules. The flag always goes to the right. 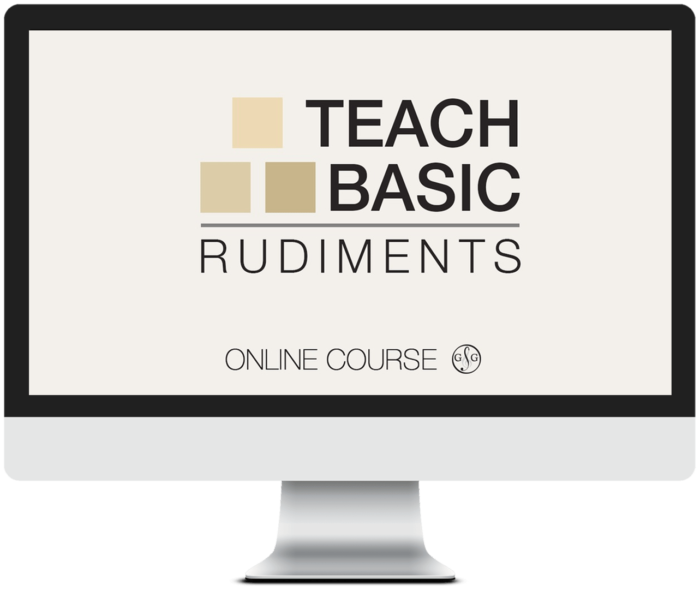 In Prep 1 Rudiments on Page 41, we also learn: The end of the flag does not touch the notehead. In Prep 1 Rudiments on Page 87, we learn: An interval of a 2nd is a step. It is always written one note beside the next, space to line or line to space. The lowest note of a 2nd is written on the left, with the higher note written on the right. Mistake #1 – A Stem Up is used for the Stem Up note and a Stem Down is used for the Stem Down note. 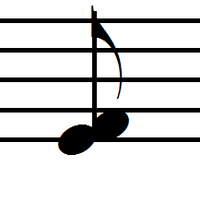 When writing an Eighth Note Harmonic Second, the stem is written in the direction of the note furthest away from the middle line. Mistake #2 – The Flag is on the left of the stem. When writing an Eighth Note Harmonic Second, the flag is always on the right of the stem. Always. No exceptions. Mistake #3 – Two Stems and Two Flags are used on the Harmonic Second. The correct way to write an Eighth Note Harmonic Second is with one stem (in the middle of the two noteheads) and one flag (flying to the right of the stem). Mistake #4 – The Flag touches the noteheads. When writing an Eighth Note Harmonic Second correctly, the flag must never touch either of the noteheads. Yes, I know – in “printed music”, it often looks like the eighth note flag is touching the notehead. That is because the standard “printed” length of the stem with a flag is the same for a stem down and a stem up note. Unfortunately, when writing a stem down note, the flag ends up running into the notehead. P.S. Join the conversation – if there is a concept that you often see written incorrectly in printed music that gets your “knickers in a twist”, please rant away and share it below!